The Cole siblings had no intention of singing together seven years ago, but after their mother was hit by a drunk driver, their father asked them to sing to her in the hospital. That incident birthed their gospel group, Voices of Glory. Voices of Glory performed at Madison Square Garden, opened for the Dove Awards and traveled to Germany to perform during a Christmas festival. In 2011, they performed in Joplin, Mo., for a tornado benefit and worked alongside Samaritan’s Purse to clean up the devastated area. 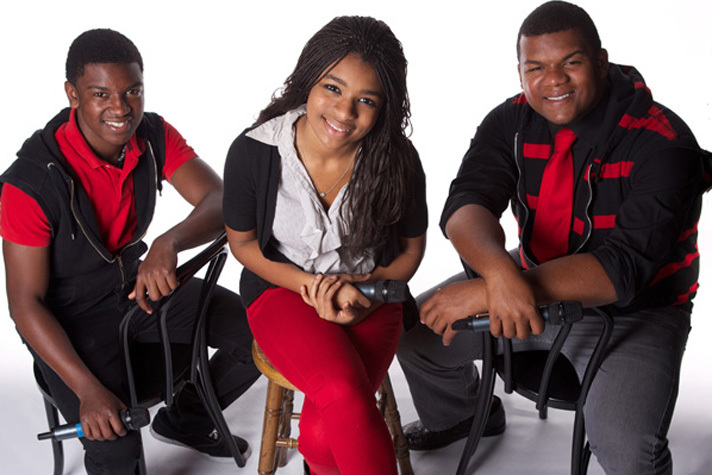 Despite years of media attention, three gospel-singing siblings say their faith remains unshaken and their feet firmly planted. 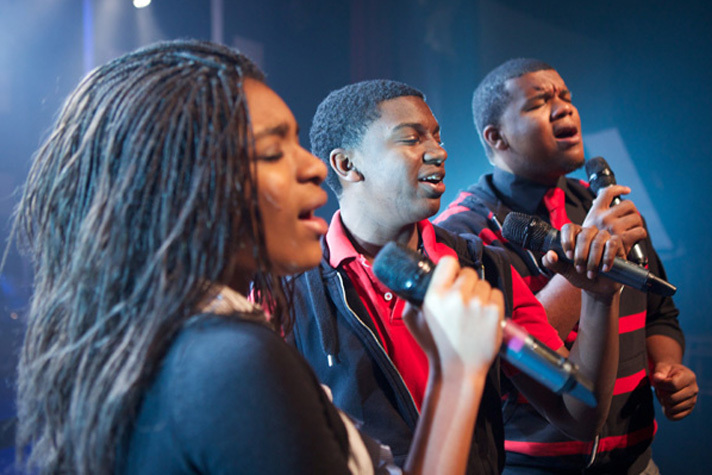 The Cole siblings – Michael, 20, Avery, 17, and Nadia, 13 – make up the Voices of Glory. They had no plans of singing together seven years ago, but after their mother was hit by a drunk driver, their father asked them to sing to her in the hospital. Their mother, Felicia, was in a coma for eight months, but responded when her children sang. From there, the siblings sang in other hospitals and nursing homes, then for churches and large events near their home in Highland, N.Y. In 2009, they appeared on America’s Got Talent. Their first performance, singing “God Bless America,” brought one judge to tears and earned them a standing ovation. While Voices of Glory is a singing group, the three siblings have a greater purpose: “To show people more of Jesus Christ,” Nadia said. As the youngest member of the group and the only girl, Nadia is known by her brothers and fans as “the powerhouse” for her big voice. In her own humble words, she simply “complements” her brothers. And helps with their wardrobe. So does Avery. Many people his age are searching for their identity, he said, but he has long known that his identity is found only through Christ. The faith that penetrates this gospel group came first from Mom and Dad. Mom, who used to work as a bilingual biology teacher, was a praise dance leader, choir director and junior pastor with her husband. Dad also worked in prison ministry. Michael was 13 at the time of her accident, and Nadia was 5. The siblings still have a strong support system at home with Mom, Dad and their uncle as their managers. They can turn to their older family members for “godly wisdom and advice,” Michael said. And the mother who inspired the group? At the time of the accident, their mom was going to school for an administration degree. She wanted to be a principal. After the accident, she earned the degree with a perfect GPA. While she can’t yet walk without assistance, she attends nearly every Voices of Glory performance. The group just signed a contract for 200 shows in Branson, Mo., their new home, and has a CD called Send a Miracle coming out on March 18. They are working to get a book published and finalizing their own record label, Clean Records. How will they juggle this year’s busy schedule? The trio’s faith plays out onstage and off. On the road, the family might share devotions or watch faith-based programs. It’s tradition to pray before every performance. “If He’s not getting the glory, then there’s no point in us stepping out onstage anyway,” Michael said. When the show aired, people around the world showed their support. Some were so influenced by the group that they gave their lives to Christ. The group also sings inspirational songs to show non-Christians that Voices of Glory cares about them, Nadia said. Voices of Glory once performed at Madison Square Garden for a Knicks game, opened for the Dove Awards in 2010 and traveled to Germany to perform during a Christmas festival. In 2011, their song You Untie My Wings rose to the top of Southern gospel charts. Also that year, they performed in Joplin, Mo., for a tornado benefit and worked alongside Samaritan’s Purse to clean up the devastated area. They sang for Samaritan’s Purse workers. Down the road, Nadia hopes to attend Juilliard and go into music ministry. Avery wants to be a missionary and have a family. Michael, who is looking into colleges, sees himself producing more music. The family will launch their nonprofit Voices of Glory Global Ministries later this year. Click here to find the Voices of Glory on Facebook.